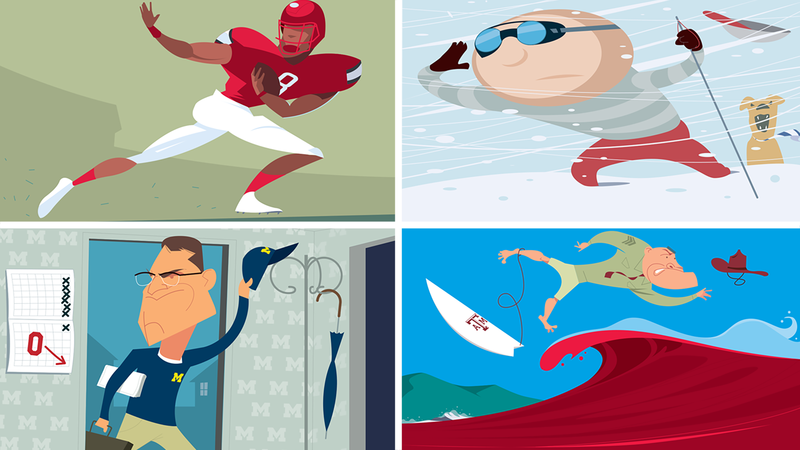 Weekly images for ESPN.com’s college football coverage. I draw a set of four every Saturday night to reflect games that impact the playoff race. This week: Louisville; Ohio State losing to Penn State; Michigan looking ahead to Ohio State and the Texas Aggies getting washed away by Bama’s Red Tide.